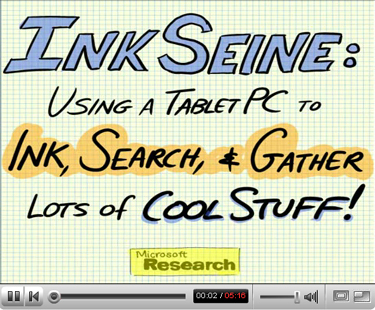 Microsoft's Miel announced that Microsoft Research is planning on releasing to the public next week an internal prototype, called InkSeine, that allows for some amazing inking on Tablet PCs. 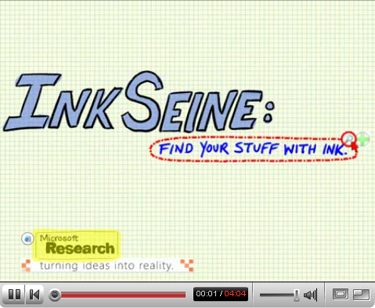 InkSeine can be installed on Tablets running Windows XP or Windows Vista (Premium, Business or better) and allows access to many features just by inking. For example, you can run a search just by circling some words. To see more screenshots - Visit this article.